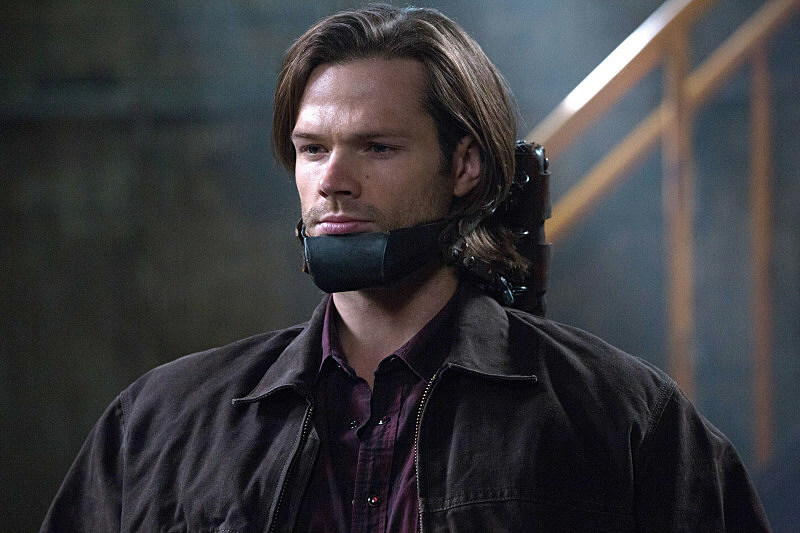 Yesterday gave us our first look at Sam and Dean's 2014 'Supernatural' return with a brand-new trailer highlighting the episodes to come, but what of the big "Road Trip" return next week? 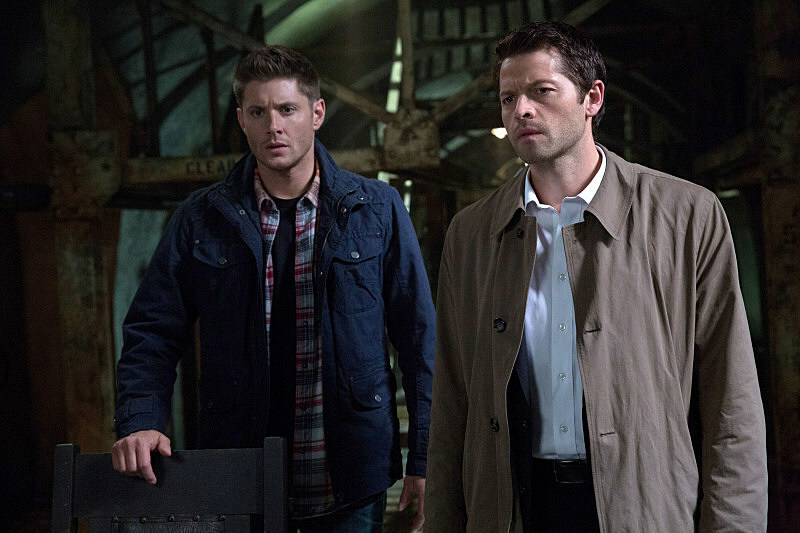 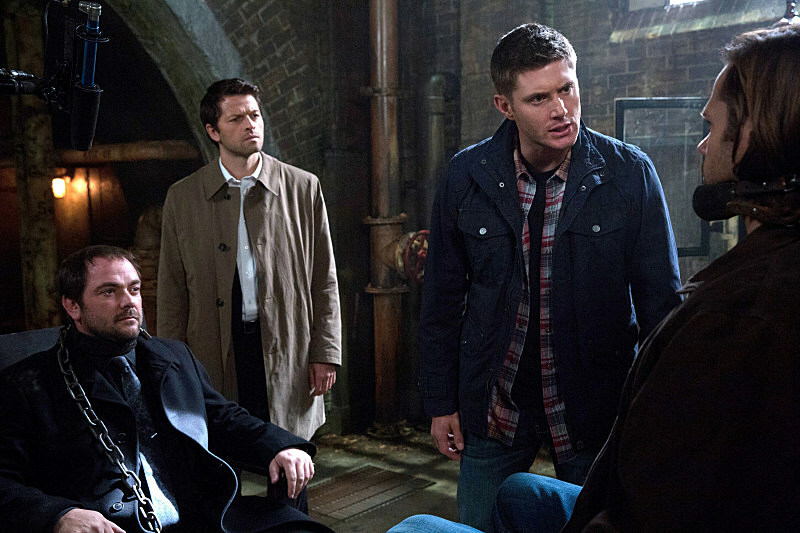 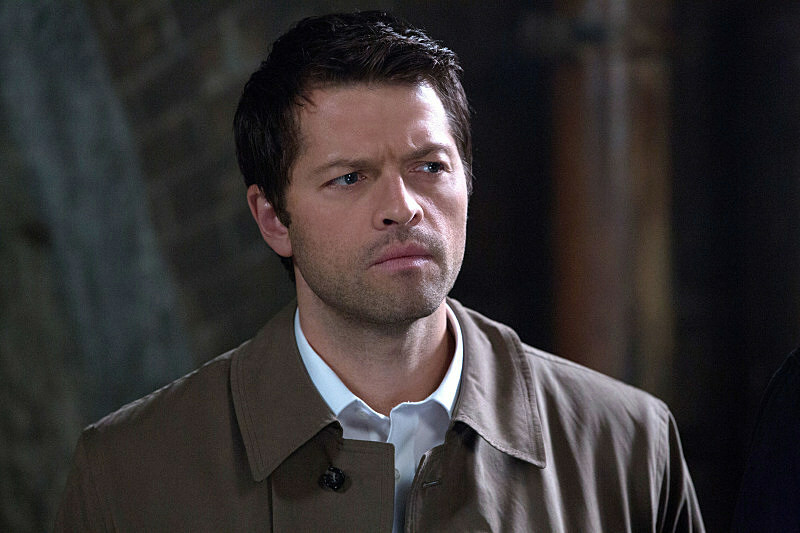 Catch an early sneak peek and photos as Dean and Castiel partner with Crowley to save Sam from his angelic predicament! 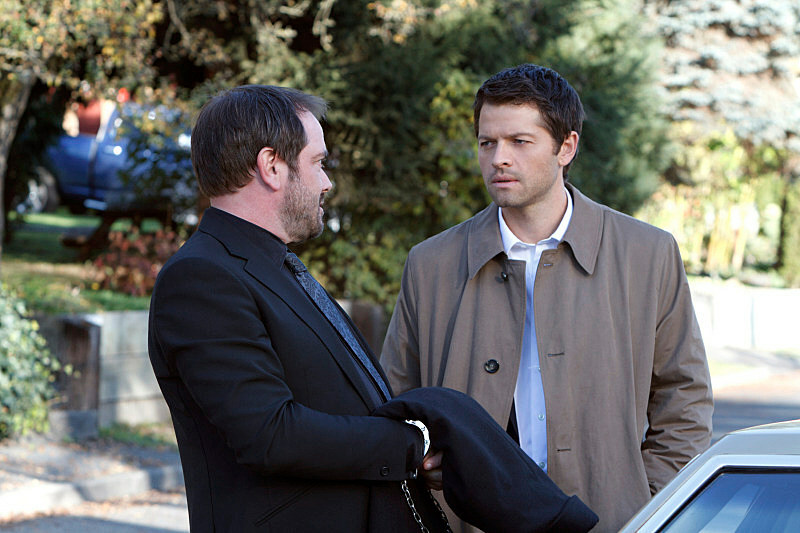 Our first sneak peek of next Tuesday's "Road Trip" sees Dean and an almost fully-restored Castiel (note the mid-length trenchcoat and lacking tie) considering a dangerous proposition to grant Crowley a "field trip" in exchange for information on expelling an angel from their human host. 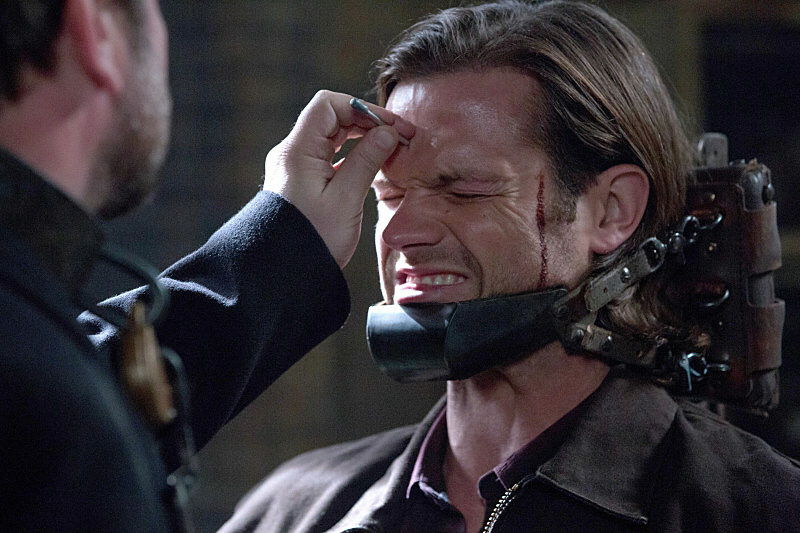 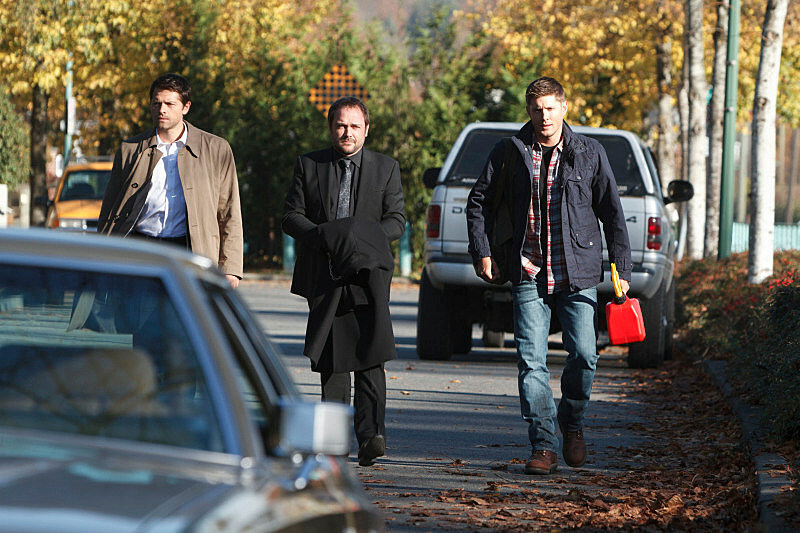 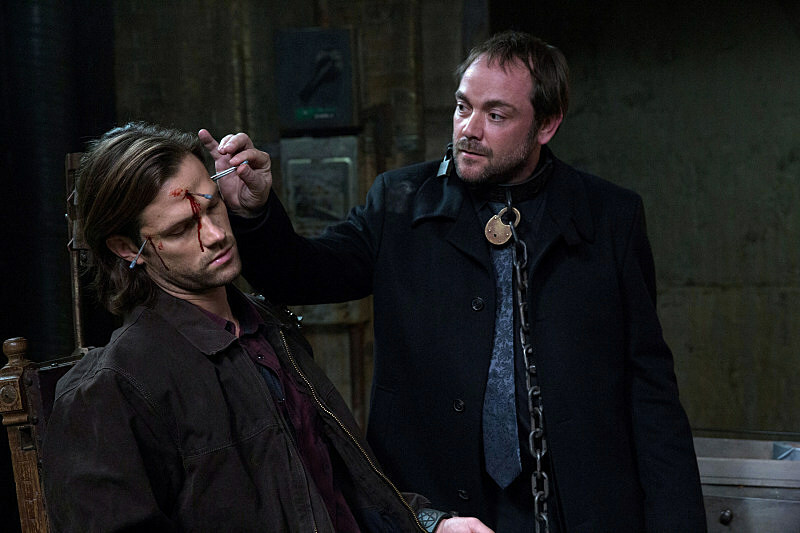 Crowley calls Sam for a tiebreaker, unaware that his beloved "Moose" is the human in question. 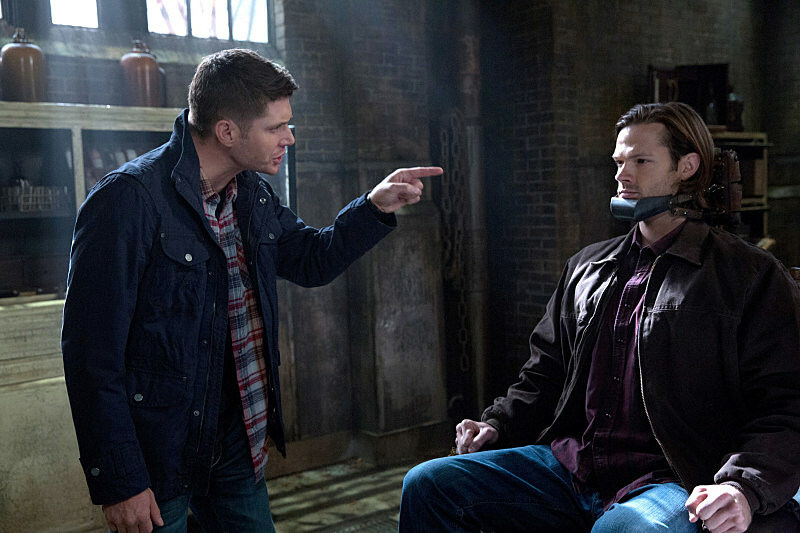 DEAN'S BEST CHANCE OF SAVING SAM LIES WITH CROWLEY - Dean (Jensen Ackles) is devastated after Kevin's death and vows to find the angel that killed him, not only to free Sam (Jared Padalecki), but to seek revenge. 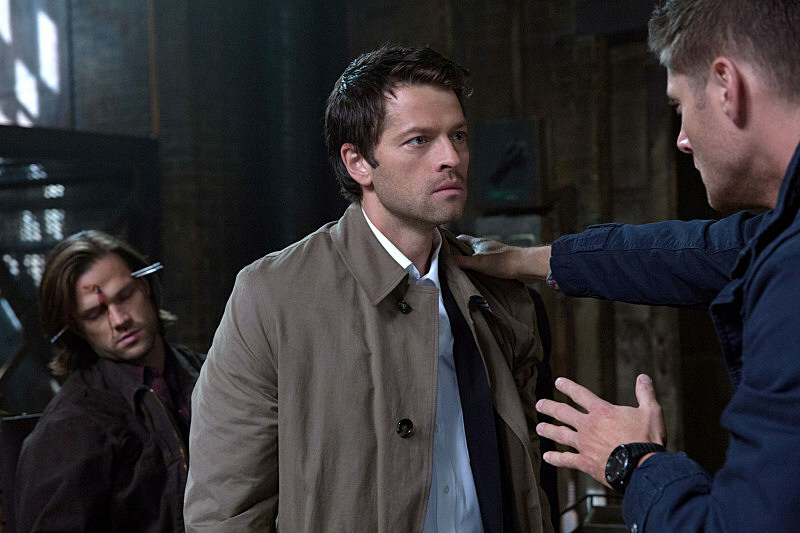 Castiel (Misha Collins) arrives at the bunker and suggests they try to separate Sam's brain from the angel's so they can talk to Sam and have him expel Gadreel. 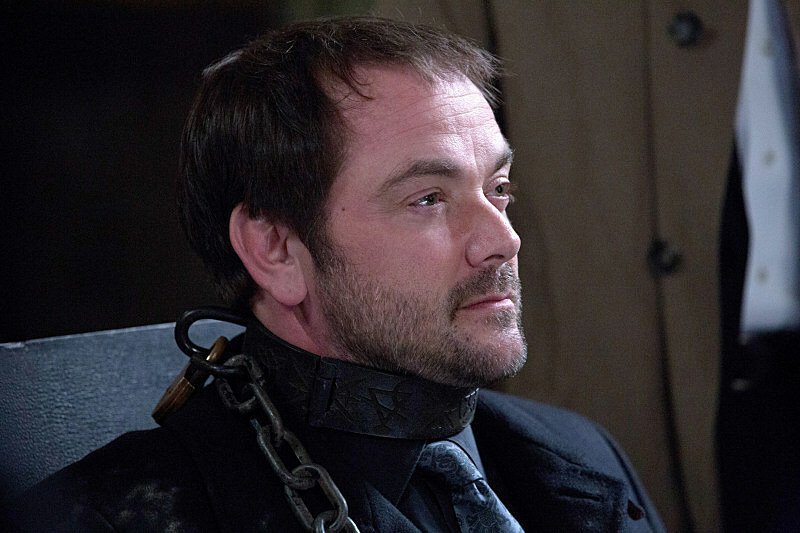 However, there's one small problem: the only person who knows how to do that is Crowley (Mark Sheppard). 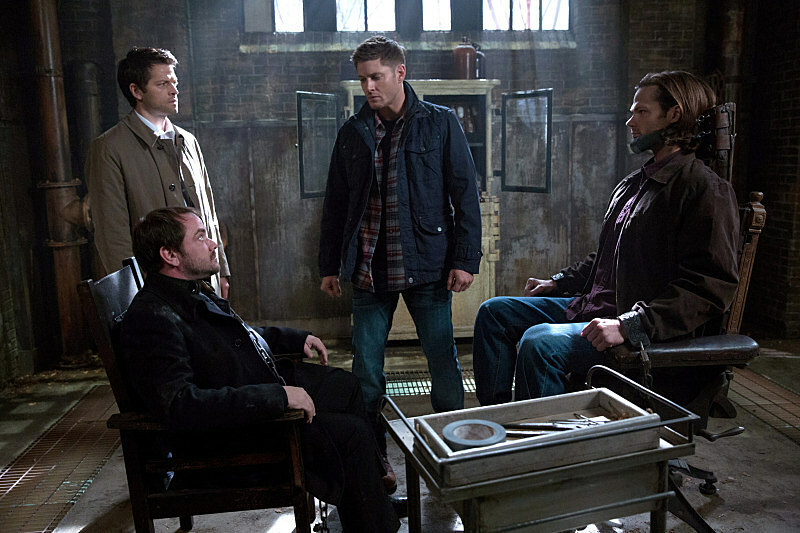 Elsewhere, the photos of the hour show that the trio catch up with Sam/Gadreel sooner rather than later, apparently after Gadreel pays a visit to a rather uniquely dressed ally. 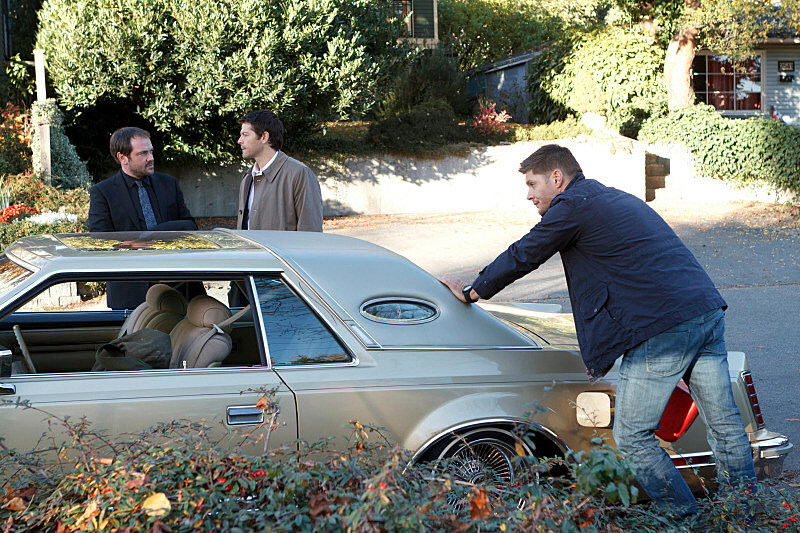 Gird your stomach a bit for head wounds in order to check out the full set of 'Supernatural' "Road Trip" photos below, watch the sneak peek above, and tell us in the comments what you want to see from the latter half of 'Supenatural''s ninth season!